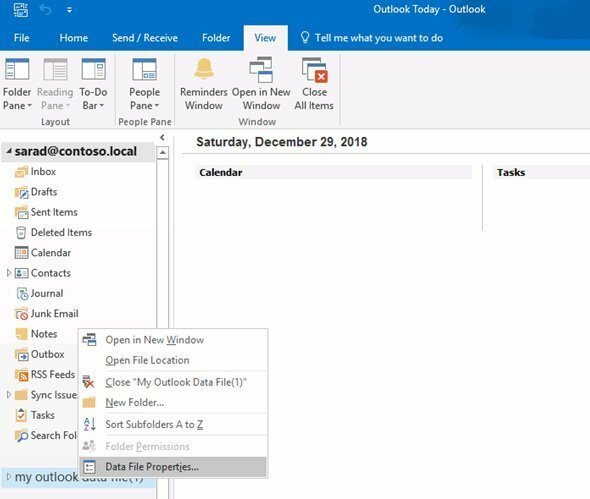 If you use the archive (PST) files in your Outlook configuration, they are displayed in the Outlook folder tree on the left side. 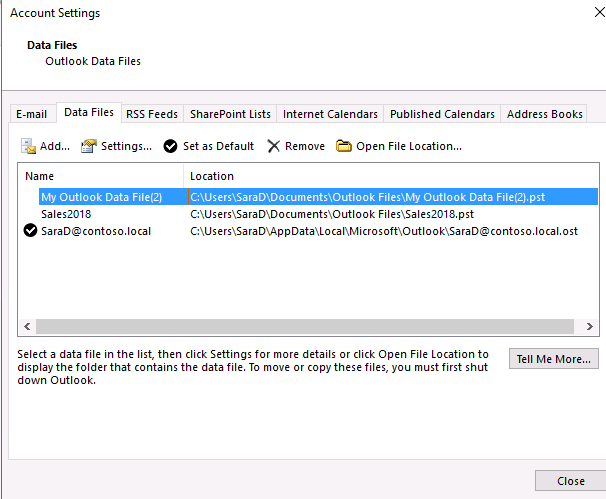 By default, Outlook archive folders are named like this: “My Outlook Data File”. 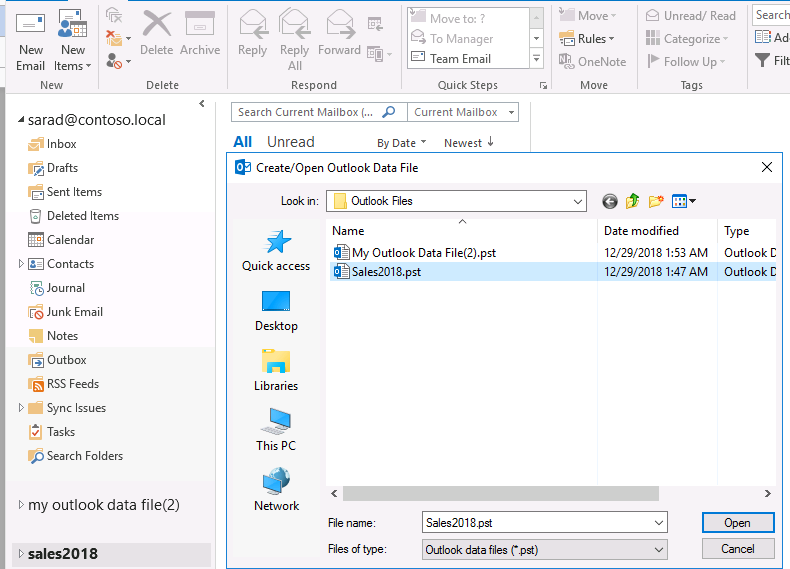 As you can see, in my Outlook configuration there are 2 archive folders are connected with the names “my outlook data file (1)” and “my outlook data file (2)”. Note. 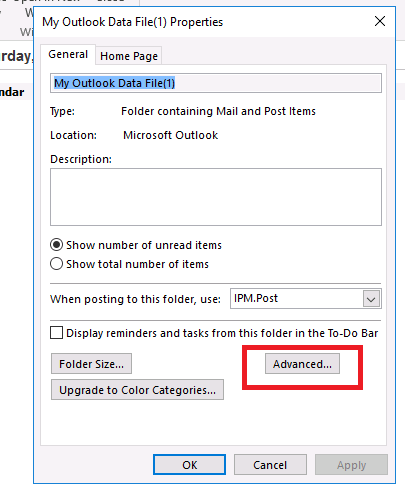 In Outlook 2010 and later, the default name for the new PST files is “My Outlook Data File” (in earlier versions of Outlook, “Personal Folders” name was used). When using AutoArchive, the name of the default PST file is “Archive”. These names of the PST archives are rather long and are cropped if you don’t expand the width of the Folder Pane. Do you have a lot of archive files connected? Or perhaps archives of multiple mailboxes? If so it can get a little confusing. 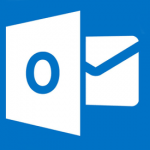 Let’s look on how to change the names of archive files and mailboxes in Outlook. Follow the quick steps below to rename your archive files. Then in the Name field you can name it whatever you choose to. We changed the name of the archive to Sales2018. Click Apply and hit OK. And your good to go! Please note that the name of the pst file in the “File Name” field doesn’t change. The default PST file location directory is C:\Users\username\AppData\Local\Microsoft\Outlook. When you rename an archive file from Outlook, only the display name in the Outlook folder pane changes. The file name on the disk doesn’t change. 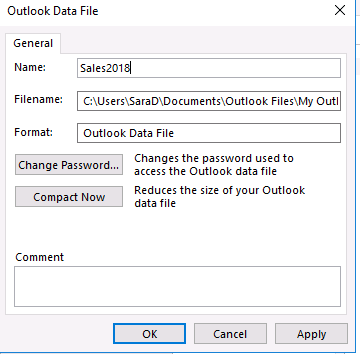 It is still called “My Outlook Data File(1).pst”. Press OK browse and select your renamed pst. Click Open. 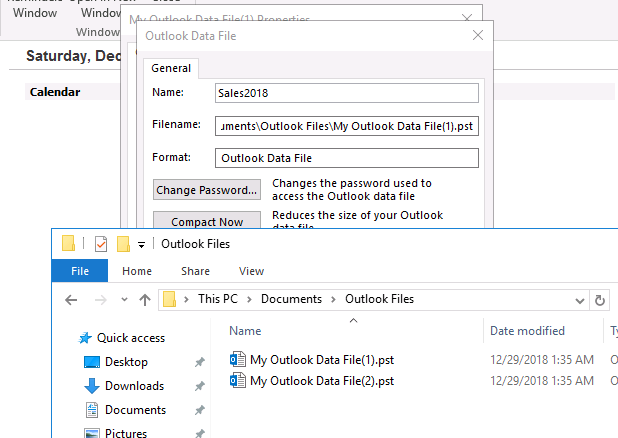 You can see the entire list of connected PST files and their display names in the Outlook configuration settings (File > Info > Account Settings > Account Settings > Data Files). As you can see, in our configuration, the Exchange mailbox (OST file) and two PST archive files are connected.